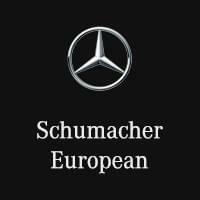 Schumacher European, located at 18530 North Scottsdale Rd, Phoenix, AZ, takes pride in our helpful staff and we will do everything to make your car buying experience the best you have ever had. We have helped many people from the communities of North Scottsdale, Fountain Hills, Phoenix and the surrounding areas get into the Mercedes-Benz car of their dreams. Comfortably browse our new Mercedes-Benz inventory, and then contact us to schedule a test drive. Our knowledgeable and professionally trained staff makes the difference between just buying a new or used car, and buying a new or used car with a dedicated and friendly team behind it, ready to serve all of your automotive needs. Visit us today if you are looking for a used car or Mercedes-Benz in Scottsdale, AZ!